2018 flew away. It passed so fast for me, that now when I am writing the review I see that we did a really good job. The feeling is great when you can see all the results that came out from so many challenges. One of the new faces in the company was me. The enthusiastic marketer in the role of a BD in a completely new environment, an IT company. Beside me, 2 new mid-level software developers joined and 7 interns became part of our development team. 2 new interns joined our company in December for a 3 months training program. It became more interesting to work with this new big family we created. The team grew, most importantly the work grew also. We’ve enlarged 2 new departments: IoT and QA. Besides that, our developer’s team got reinforced and stronger. Yeah! We were able to finish a state of the art IoT project for one client. The best thing is they initiated writing a public review for the job we did. You can see the review on our website. But to be able to meet our partners needs we constantly learn new technologies. And how are we doing that? – We’re attending hackathons. To be more precise we’ve attended 4 in 2018. At 2 of them, we were implementing Blockchain technology in a commercial environment, at the 3rd we successfully implemented AR and at the 4th – IoT solution with beacons. Hackathons are really important in our company. Developers are free to work on a project they like and that refreshes the energy and creativity in our team. Most importantly they get to learn and test new technologies and implement them in our work. It’s like a game field for them, where they can play with all of the crazy ideas they have. And that’s not all, we attended the WebSummit in Sofia, Bulgaria, AngaCom in Cologne, Germany, and few more regional and local tech events. 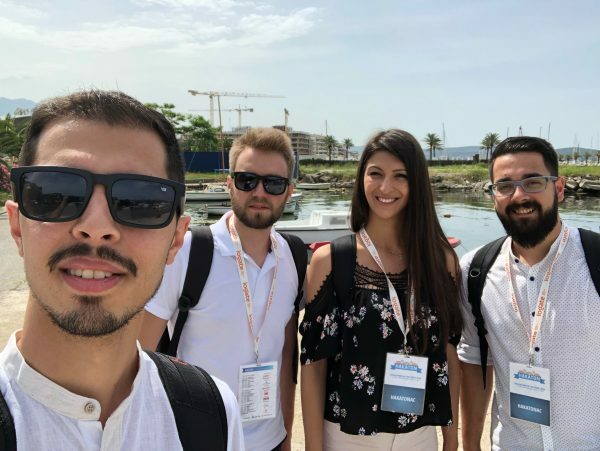 Two of our colleagues attended one-week study visit in Israel, meeting the top tech, and educational centers and the greatly minded innovators behind them. 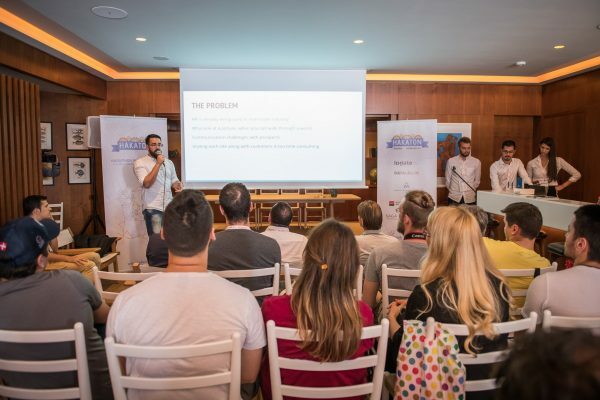 Also, our co-founder was a speaker at Macedonia2025 Summit, talking about Leadership through Education. Overall we like traveling, we visited 6 different countries last year and hope for many more. But we don’t just go there to have fun. We are really competitive when it comes to work and expertise and we take seriously every event we attend. 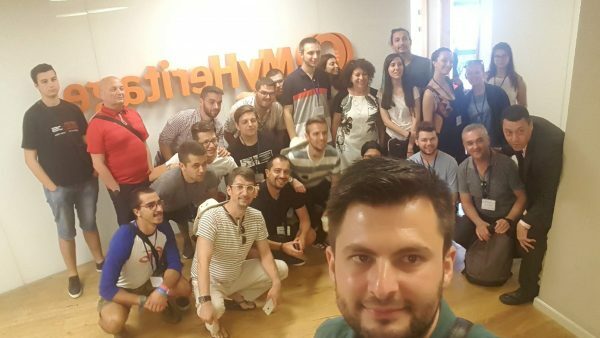 Last year we won the 2nd place at Codefest tech marathon at Ohrid, won the study visit in Israel at The Bitalon (Israeli hackathon in Bitola). Two of our engineers won the award for best students at the Faculty of Information and Communication Technologies, with the average grade of 9,95! And I will not be modest to say now, but we have some superpowers here! I think you can see that we are all super proud of our team! We finish the 2018 chapter with an overall growth of 38% and with style – we gave new look to our web site and hope you like it. However, we encourage to give us your feedback and tell us what we can improve, so we can be even fancier in 2019. Meanwhile, our product AWSome grew to 400+ active users and some new cool updates are waiting this year. Cheers to all, for many more successes in 2019!